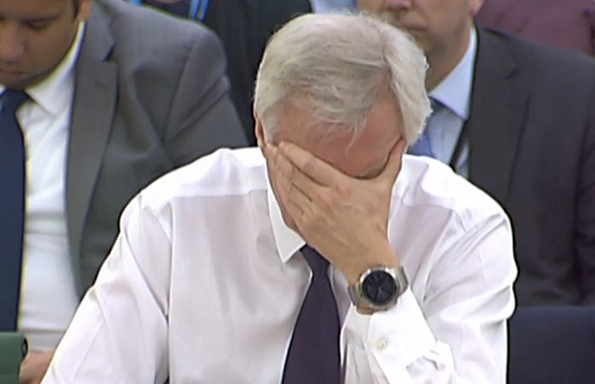 Quizzed at a hearing of the Exiting the European Union Committee, Secretary of State for Exiting the European Union David Davis stated that there are no sectoral impact assessments on Brexit. 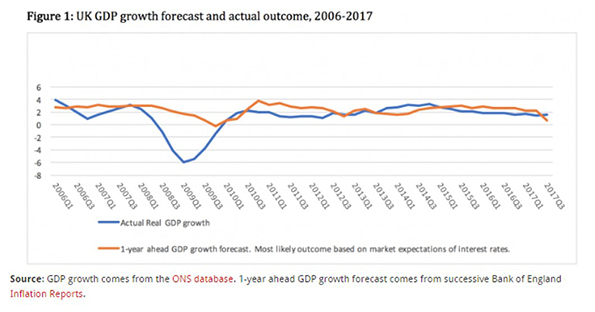 In fact, Davis ‘justified’ the apparent lack of quantitative impact within the notorious 850-page dossier on the grounds that “an impact assessment consists of a quantitative forecast” and “as we have said….economic forecasts do not work”. Yet, quantitative forecasts are an essential part of our daily routine. Consider, for instance, a simple trip from Stoke-on-Trent to Wembley. Drivers interested in this trip do not have any hesitation to consult the ‘router planner’ of the AA website which suggests up to three alternative routes. These routes are based on a very simple quantitative model which provides three different ‘forecasts’ of the arrival time to Wembley. Ignoring forecasting because, in the words of Mr Davis, “when you have a paradigm change as in 2008, all the models are wrong” is hardly the point. Indeed, by returning to the example of the AA route planner, drivers understand (or should understand) that the alternative quantitative ‘forecasts’ provided are on the grounds that nothing will go spectacularly wrong – say a traffic jam or a car breakdown. In fact, economic forecasting prior to the recent financial crisis and all the way up to the current time has not gone spectacularly bad. To fix ideas, Figure 1 plots the 1-year GDP growth forecast (this is the ‘mode’, or most likely outcome, based on market expectations of interest rates) produced by the Monetary Policy Committee (MPC) of the Bank of England together with the actual outcome. The MPC has overestimated, since 2006, 1-year ahead GDP growth by 0.8% (based on the Median statistic). Post-financial crisis (2010-2017), however, the MPC’s GDP growth forecast has definitely improved with the ‘Median prediction bias’ dropping to 0.55%. The main point is that economic forecasters have tried to improve their forecasting performance since the crisis. In fact, the financial crisis triggered a lively debate among policy-makers and forecasters. For instance, the President of the Federal Reserve Bank of Boston, Eric Rosengren, pointed out in 2010 that the seriousness of the crisis was underestimated by economic forecasters because financial links, such as provision of liquidity, to the real economy were “only crudely incorporated into most macroeconomic modeling”. Adding to this, the Head of the Monetary and Economic Department at the Bank of International Settlements, Claudio Borio, noted in 2012 that for most of the post-war period “financial factors had progressively disappeared from macroeconomists’ radar screen”. Building on these very comments, I recently co-authored an academic paper which showed that an empirical model which distinguishes between illiquid and liquid stock market conditions in the UK is able to out-perform the MPC’s GDP growth forecasts. Obviously, further improvements in our forecasting ability need to be put in place as we move into the complex and indeed challenging Brexit era. Yet, let us not forget that the outcome of the referendum is arguably also based on a ‘quantitative forecast’. Indeed, a 51.9% versus 48.1% vote in favour of Brexit was, in essence, a quantitative forecast of the electorate’s opinion as it was based “only” on a 72.2% turnout. With this in mind, the pressing question which remains unanswered is the following: why does David Davis appear happy to fully trust the quantitative forecast of the vote but, at the same time, refuse to consider any other UK sectoral forecasts that build on the very Brexit vote? This very lack of information is a serious worry when we try to work out which ‘business model’ is the most suitable to carry forward in our future trading with Europe and the rest of the world.